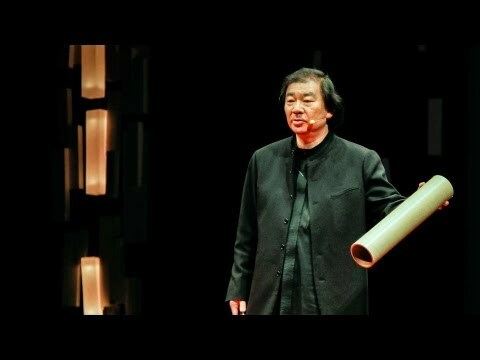 Long before sustainability became a buzzword, architect Shigeru Ban had begun his experiments with ecologically-sound building materials such as cardboard tubes and paper. His remarkable structures are often intended as temporary housing, designed to help the dispossessed in disaster-struck nations such as Haiti, Rwanda or Japan. Yet equally often the buildings remain a beloved part of the landscape long after they have served their intended purpose. Most people look at cardboard tubes and see something fit for the recycling bin. But architect Shigeru Ban turns them into beautiful buildings. Shigeru Ban’s architecture redefines aesthetics, space, structure and even the idea of permanence. In 1986, for the Alvar Aalto Exhibition near Tokyo, Ban experimented with constructing a building from long paper tubes, the kind found at textile factories. The tubes ended up being much stronger than he had imagined, and were easier to waterproof and fireproof than he had guessed. Ban created many experimental buildings in this vein — from the Japanese Pavilion at Expo 2000 in Germany, which was meant to be recycled upon demolition, and an office for himself and his students set atop the Pompidou Centre in Paris, where they worked for six years. But Ban’s unusual designs have found another use — as emergency shelters for those who have lost their homes in disasters and wars. In 1994, Ban created shelters for refugees in Rwanda. The next year, after an earthquake in Japan, he rebuilt a local church out of paper tubes that became a local fixture for 10 years. His designs — both low-cost, and dignity-building — have housed those affected by disasters in Taiwan, China, Haiti, Turkey and Sri Lanka. He also helped develop a shelter system after the Japanese tsunami of 2011. The founder of Shigeru Ban Architects, Ban has received many awards, including the Architectural Institute of Japan Prize. He currently teaches at Kyoto University of Art and Design. This entry was posted in science on August 13, 2013 by Kevin Hsieh - channel APA. 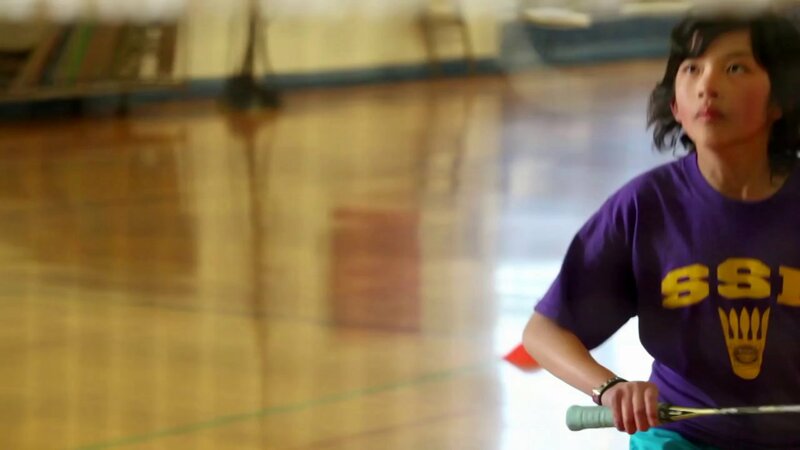 Smart, outgoing, independent 12 year old Vicky Tran was diagnosed with Acute Lymphoblastic Leukemia (ALL) in November 2011. Her ethnicity makeup is Vietnamese and Chinese, which made her search for a bone marrow donor a little more challenging. After months of searching near and far for her life-saving match, Vicky found a donor and received her transplant in early 2012. With the help of the Asian American Donor Program Vicky was one of the lucky ones and found a donor in less than a year. What she didn’t know was where and who the donor was. Her donor hero, Vincent Pan, was also in the San Francisco Bay Area. With the help of Vincent, she is currently doing well and recovering nicely post-transplant and treatments. This entry was posted in kids, science, shorts on July 24, 2013 by Kevin Hsieh - channel APA. Once it’s created, plastic (almost) never dies. While in 12th grade Miranda Wang and Jeanny Yao went in search of a new bacteria to biodegrade plastic — specifically by breaking down phthalates, a harmful plasticizer common to flexible plastics and linked to health problems. They found an answer surprisingly close to home. And they’re still teenagers. Their work earned a regional first place in British Columbia for the 2012 Sanofi BioGENEius Challenge Canada, as well as a special award for the most commercial potential at the contest’s finals. This entry was posted in kids, science on July 18, 2013 by Kevin Hsieh - channel APA. Houston Rockets guard Jeremy Lin and Milwaukee Brewers first baseman Travis Ishikawa train at SPARTA in the San Francisco Bay Area. The two high profile athletes tell you why they train so hard to be where they are today. Before everyone knew his name, Jeremy Lin was investing in himself by training at SPARTA during the 2011 NBA lockout. (see Jeremy Lin in the offseason last year.) He’s back at SPARTA this off-season, getting ready to show what he can do in a full season. (watch Jeremy Lin in the offseason episode 2). Meanwhile, Travis Ishikawa improves his hitting and conditioning at the facility. These guys definitely work out. This entry was posted in kids, science, sports on August 9, 2012 by Kevin Hsieh - channel APA. 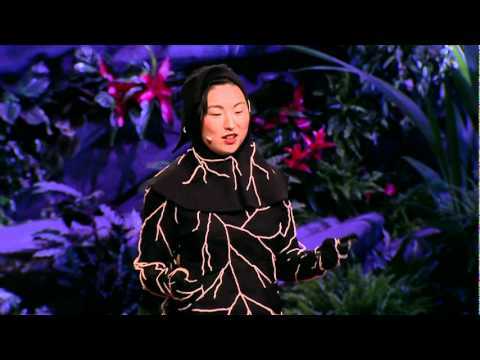 Jae Rhim Lee’s Infinity Burial Project explores the choices we face after death, and how our choices reflect our denial or acceptance of death’s physical implications. The project proposes alternatives for the postmortem body that promote and facilitate an individual engagement with the process of decomposition. She’s been developing a new unique strain of fungus, the Infinity Mushroom, that decomposes and remediates the industrial toxins we store in human tissue and convert our unused bodies efficiently into nutrients. With the development of a decomposition ‘kit’, burial suits embedded with decomposition activators, and a membership society devoted to the promotion of death awareness and acceptance and the practice of decompiculture (the cultivation of decomposing organisms), her Infinity Burial System converts corpses into clean compost. She was in residence at the MAK Center in Los Angeles this fall working on the project. And if this vision of life after death appeals to you, sign up to become a Decompinaut yourself. This brings a whole new perspective on the Mushroom Kingdom. Also see William Li : Eat to starve cancer. This entry was posted in science, technology on October 17, 2011 by Kevin Hsieh - channel APA. We’ve seen this video circulating the internet. In the poor part of the Philippines (Sitio Maligaya), they’re using things that you’d normally recycle or throw away to make their life better. By using a plastic bottle, filtered water, and bleach, a simple solar bulb providing ~55 Watts of light can be created. Isang Litrong Liwanag (A Liter of Light), is a sustainable lighting project which aims to bring the eco-friendly Solar Bottle Bulb to disprivileged communities nationwide. Designed and developed by students from the Massachusetts Institute of Technology (MIT), the Solar Bottle Bulb is based on the principles of Appropriate Technologies – a concept that provides simple and easily replicable technologies that address basic needs in developing communities. This simple technique can brighten the lives of many in poor countries. “Solar Demi” shows you the easy steps to shed a whole new light in this world. See how these solar bottles have changes this community. Welcome to the light club. This entry was posted in science on October 7, 2011 by Kevin Hsieh - channel APA.